Director Hou Hsiao-Hsien's lethargic drama set in 9th-century China is arguably the closest a movie can come to being a museum-worthy painting. How much one enjoys the meticulously crafted — and, admittedly, visually stunning — frames depends almost entirely on their patience watching glacially paced "action" sequences separated by endless shots of gauzy curtains, vast landscapes or meditative characters so inert that you'd be forgiven for thinking they had fallen asleep while the camera was rolling. Hsiao-Hsien, a leader of the Taiwanese New Wave film movement, has been making beautifully constructed films for decades. 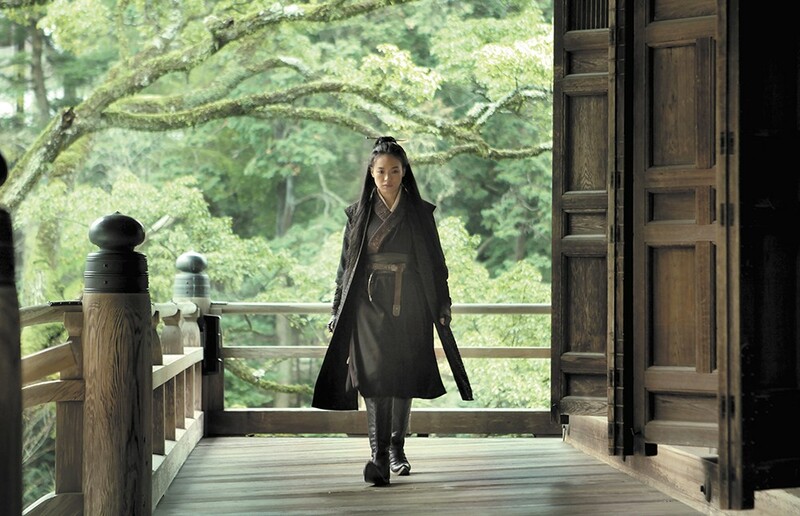 The Assassin earned him the Best Director award at this year's Cannes Film Festival, and there's no denying the skilled eye at work over the course of nearly two hours. The problem, though, is that those two hours feel more like six, due to both his languid approach behind the camera and the somewhat convoluted story that is a bit tough to follow as it unfolds. The tale revolves around a young woman, Yinniang (Shu Qi), who is abducted as a child and sent to study martial arts under a strict nun. Years later, now a lethal assassin, she's sent back to her homeland to murder her cousin and the man she was supposed to marry, Tian Ji'an (Chang Chen). He, in turn, is in the process of dealing with all kinds of palace intrigue, trying to protect his region from imperial invaders and an enemy master of the dark arts, and backstabbing members of his inner circle. There's clearly plenty of fodder for Hsiao-Hsien to make an exhilarating action film in his first dive into wuxia, the Chinese film style we Westerners typically call "kung fu movies." Instead, he focuses on almost everything but the action sequences. There are a few, but they are brief and shot in ways that obscure much of the swordplay and gymnastic martial-arts moves. Anyone going to The Assassin expecting the thrilling fight sequences of Crouching Tiger, Hidden Dragon, or even the campy Iron Monkey, will be hugely disappointed. The Assassin is not showing in any theaters in the area.